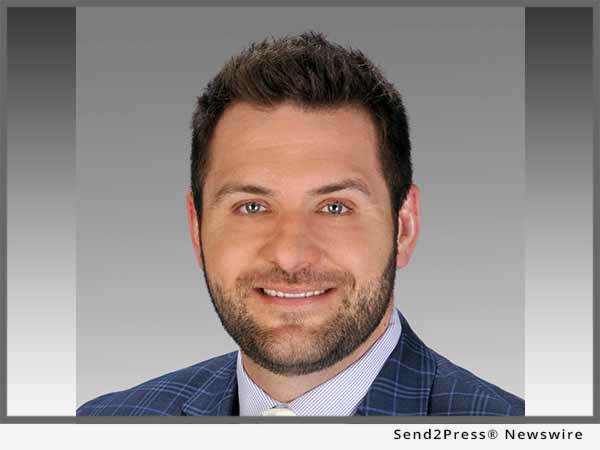 DALLAS, Texas, Dec 27, 2017 (SEND2PRESS NEWSWIRE) — The Cooksey Team, a top producing retail branch of Mid America Mortgage, Inc., announced today that its founder Michael Cooksey has been named one of “The 40 Most Influential Mortgage Professionals Under 40” for 2017 by industry trade magazine National Mortgage Professional. In selecting Cooksey for this honor, the magazine noted his accomplishments as founder of The Cooksey Team, specifically citing the success his loan originators (LOs) have enjoyed under his tutelage and leadership. While the Mortgage Bankers Association reports that LOs, on average, achieve 2.4 closings per month, Cooksey Team LOs average nearly three times that, achieving six closings per month, while also earning at least $250,000 annually. National Mortgage Professional Magazine has become “The Source for Top Originators” – that connects the mortgage professional community under various media formats. Our exceptional team of industry-seasoned monthly contributors combined with our knowledgeable editorial staff, all with meaningful expertise in their respectful disciplines, provide the most up-to-date news, insight and advice for today’s mortgage professional. We are committed to ensuring that today’s industry is equipped with the most comprehensive understanding of mortgage news available through our many resources, including, but not limited to, articles in the print edition of National Mortgage Professional Magazine and 38 state-specific e-editions, the NMP Daily and NMP Ticker email newsletters, the exclusive daily news stories and postings on our website (https://nationalmortgageprofessional.com), and our regular series of original Webinars, along with a number of additional resources in the works. Headquartered in Dallas, The Cooksey Team is a top performing retail branch of Texas-based lender Mid America Mortgage and has offices located throughout the North Texas and Los Angeles County areas. With 16 years in the industry and nearly $1 billion in funded loans over the last five years with Mid America, Cooksey Team Founder Michael Cooksey brings the experience and knowledge needed to lead a successful mortgage transaction. Utilizing The CORE Training methodology, Michael has coached his own staff, as well as loan officers, brokers and real estate agents across the country, to become top producers. Cooksey Team loan officers average six closings per month and $250,000 in annual income. In addition, the branch has increased its annual origination volume by nearly 50 percent year-over-year and is projected to achieve $300 million in volume in 2017. For more information on The Cooksey Team, visit http://cookseyteam.com. Mid America Mortgage, Inc., Addison, Texas, is a multi-state, full-service mortgage lender serving consumers and mortgage originators through its retail, wholesale and correspondent channels. We offer a wide range of residential home loan programs to meet the needs of most home buyers and homeowners and are also the nation’s leading provider of Section 184 home loans for Native Americans. Learn more at https://www.midamericamortgage.com/. In operation since 1940, Mid America has thrived by retaining its entrepreneurial spirit and leading the market in innovation, including its adoption of eClosings eNotes. Click n’ Close, the Official Mortgage Provider of NASCAR(R), is Mid America’s ultra-secure, digital mortgage approval and closing process that delivers an eight-minute application process, getting home buyers from application to closing within two weeks. With just a few clicks at closing, Click n’ Close puts keys in the home buyer’s hand in 15 minutes or less. Apply online at https://clicknclose.com.